Hi friends! Hope you are all having a great day! My week is getting off to a rocky start but I'm hoping things will get better soon. Here's a card I made a while ago but haven't gotten around to posting. It was for a Paper Craft sketch call but wasn't accepted. 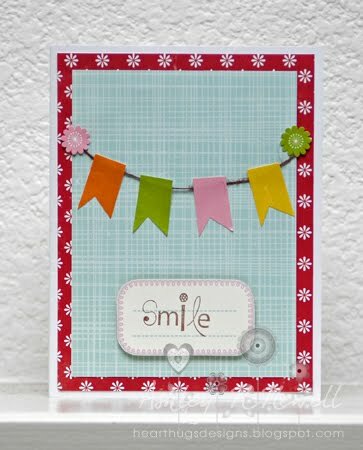 This is a pretty fast card, I made it using Echo Park paper and a Unity's Everyday Adorable.